Leopard Street is such an amazing street name. You know you’d feel amazing about yourself if you had a Leopard Street address. Who wouldn’t? 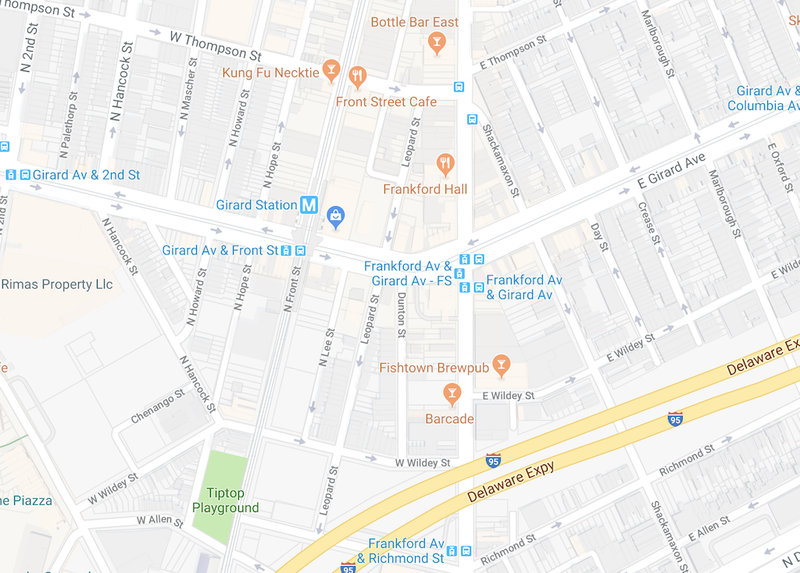 So it’s kind of a shame that Leopard Street only exists for two blocks in the entire city, running north-south between Front Street and Frankford Avenue, starting at Richmond Street and disappearing after Thompson Street. Exactly 47 property owners have the pleasure of a Leopard Street address, and the way we see it, that club is entirely too exclusive. Despite its incredibly brief presence on the map, Leopard Street can still brag about some development activity. 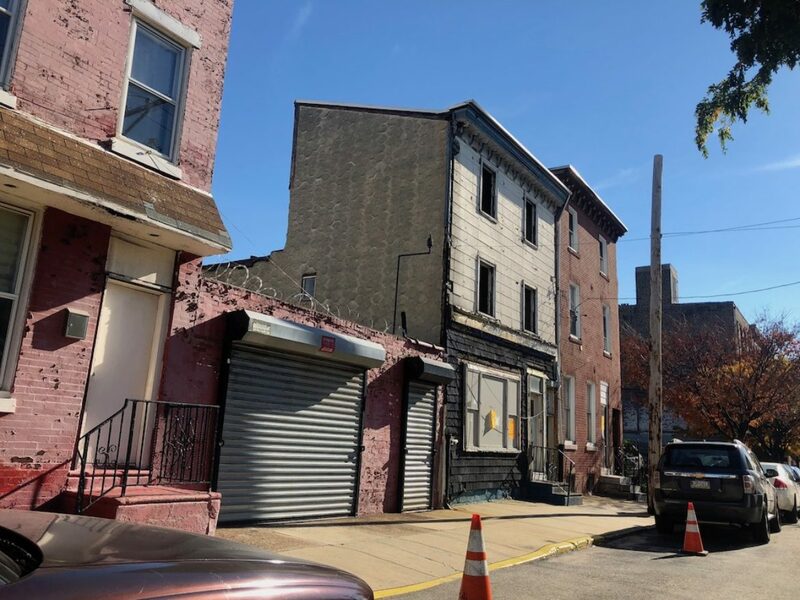 The most notable project is the planned hotel on the 1200 block of Frankford Ave., which will back up to Leopard Street… if it ever happens. But some smaller projects are also in the works, one of which would entail the demolition of a couple of rough looking buildings. 1223-25 Leopard St. will be torn down and replaced with a single building with six units. 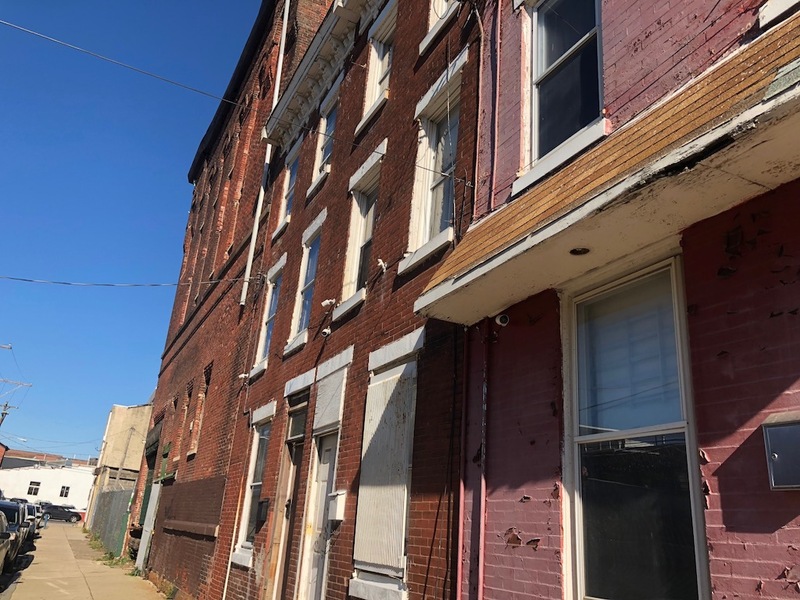 The property is zoned for multi-family use, but the developers still had to go to the ZBA to get approval because they were only allowed five units by right. That approval came through in September and the existing buildings are now posted with demo notices, so figure that demolition is forthcoming and construction work will follow soon after. While we were snapping the photo of the future six-unit project, a vacant lot caught our eye across the street. 1230 Leopard St. isn’t as big as we thought, measuring 36′ wide but only 30′ deep. Nevertheless, developers are building two homes on this lot, which appears to be a by-right project. 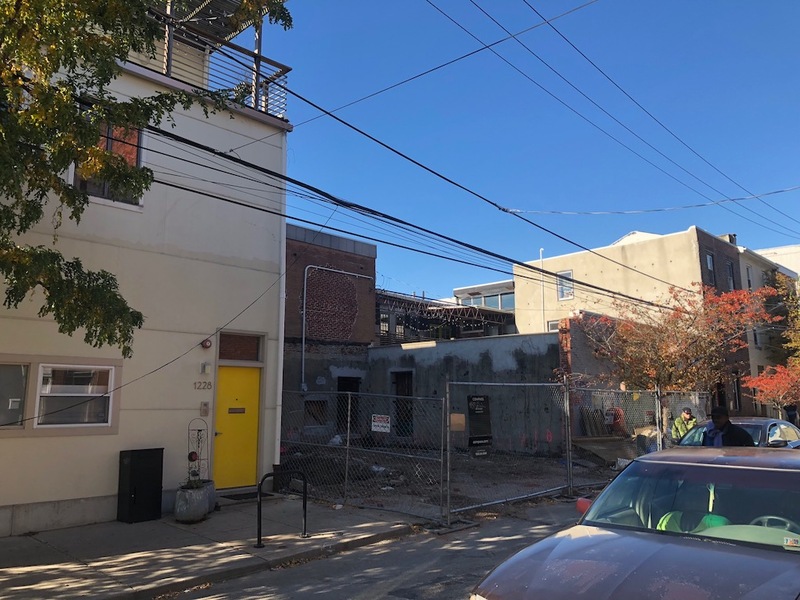 These homes are going to have rather small floor plates, but given the demand for new construction in Fishtown, we imagine they’ll be snapped up relatively quickly. Plus, they’ll have coveted Leopard Street addresses, adding considerably to their desirability.